The game allows the player to control a F-14 Tomcat jet, which must destroy a series of enemy jets throughout 18 stages. 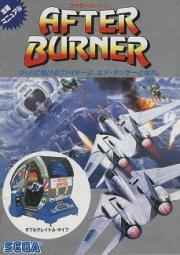 In the arcade version, the jet itself employs a machine gun and a limited set of heat-seeking missiles, in the Master System version there is an unlimited number of missiles. These weapons are replenished by another aircraft after beating a few stages. The aircraft, cannon and missile buttons are all controlled from an integrated flight stick. (wikipedia.org).